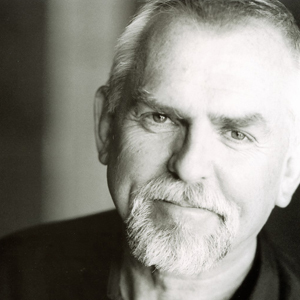 With acting credits that range from Toy Story to Gandhi to Star Wars: The Empire Strikes Back, John Ratzenberger is an extremely versatile actor. What you may not know: he’s also a passionate supporter of the manufacturing industry. In conjunction with the FMA (Fabricators and Manufacturers Association), Ratzenberger has founded the Nuts, Bolts & Thingamajigs Foundation (NBTF) whose goal will be to reach out and inspire young people to pursue careers in the manufacturing sector. Foundations Encourage America’s Youth to Enter Careers in Manufacturing. Rockford, IL (PRWEB) February 23, 2009 -– A new entity dedicated to inspiring America’s youth to consider careers in manufacturing and respond to a growing need in this country has been created through the partnership of two leading foundations. Founded by actor, director and producer John Ratzenberger, the Nuts, Bolts & Thingamajigs Foundation (NBTF) is joining forces with the Fabricators & Manufacturers Association (FMA) Foundation to create one charitable organization called Nuts, Bolts & Thingamajigs, The Foundation of the Fabricators & Manufacturers Association, Intl. (NBT). The foundation will be based in Rockford, Ill., the headquarters for FMA. The dynamic initiative allows NBT to broaden operations and increase charitable activities that include providing grants to educational institutions offering manufacturing camps and awarding scholarships to students pursuing manufacturing careers. Former FMA Foundation executives Gerald Shankel and Terrence Egan will direct the new organization, serving as president and director, respectively, and John Ratzenberger will continue to serve on the governing board and lead the Foundation’s national public policy and media campaigns. You can actually go to the organization’s website at http://www.nutsandboltsfoundation.org/ to find out more. Does anybody know what artist designed their logo?